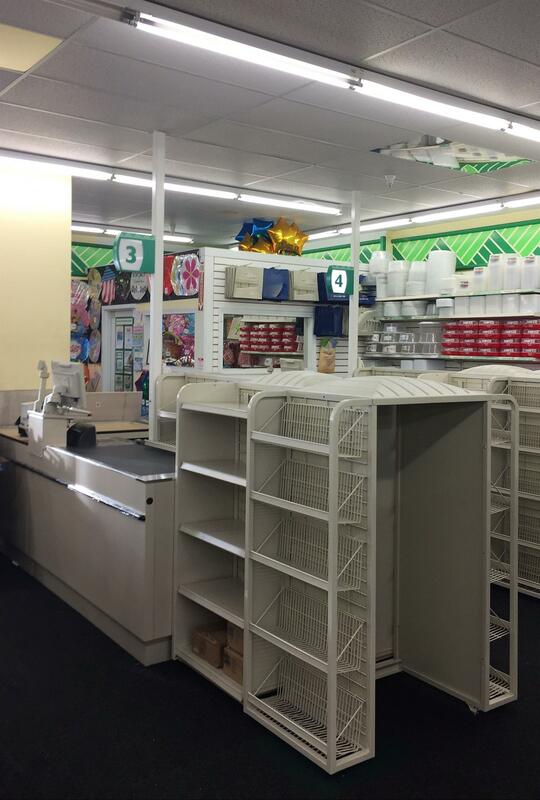 FLOWERY BRANCH, Ga., (March 31, 2017) – A team from Prime Retail Services is making an array of changes and improvements as part of continuing maintenance at one location for an American chain of discount variety stores. Prime crews are installing new cash registers, assembling a balloon display with cabinets, and building candy merchandisers. Also, team members are painting the floor in the store’s receiving area and replacing floor tile where it is necessary.